I’m so excited that my Body Pillow finally arrived !!! 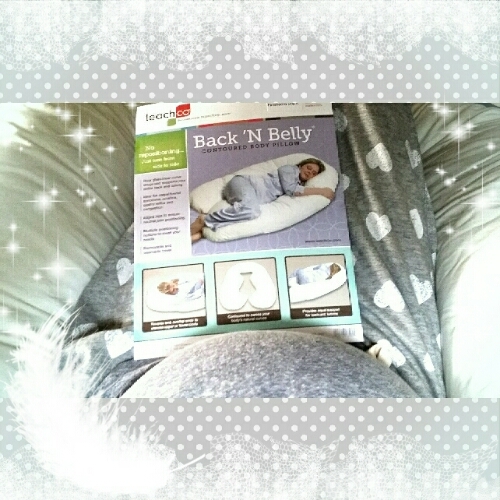 After a month of research and reviews, I finally chose the “Back `N Belly Contoured Body Pillow” because it is so versatile and basically like a huge pillow cloud. While watching tv, I’ve been trying it out in different positions and am already in love with it. The only thing that’s slightly negative is that it basically takes up the entirety of my queen size bed haha but after tonight’s sleep I’m certain it’ll be worth it! This entry was posted in Maternity Shopping, Pregnancy Advice, Third Trimester. Bookmark the permalink.